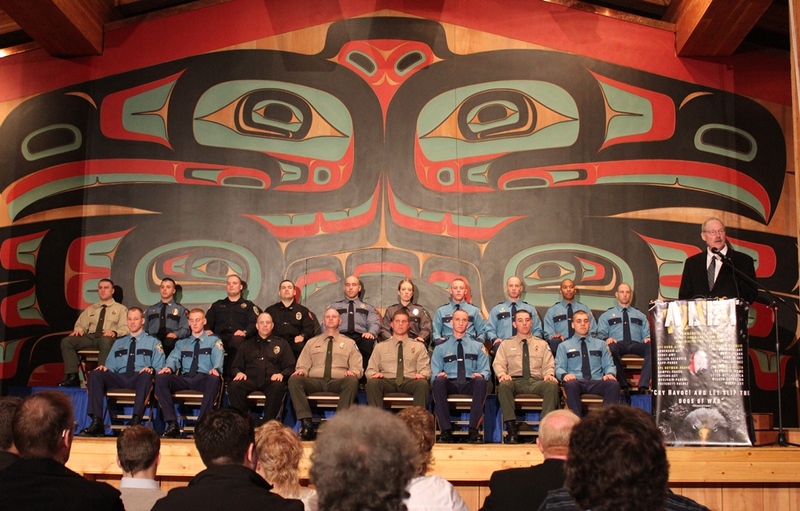 This week I had the pleasure of addressing the graduating class of the Alaska Public Safety Academy in Sitka. I was honored to congratulate recruits on their accomplishments and thank them for stepping forward to serve Alaska. 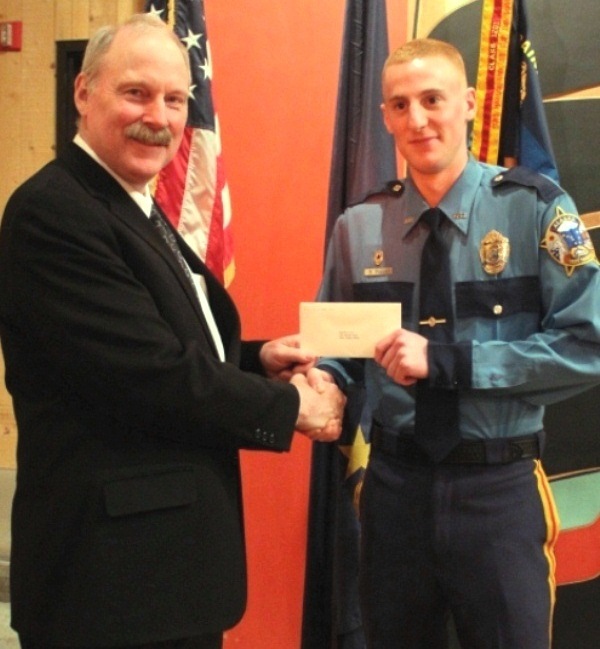 Founded in 1974, the Public Safety Academy trains Alaskans from around the state to be State Troopers and law enforcement officers. The academy is vital to public safety in our state and an important institution for the Sitka community. I’ve worked with colleagues and the Governor’s administration to ensure the academy has the resources to properly train and equip law enforcement. In the past three years we’ve secured $8 million in funding to improve and expand academy facilities. This includes construction of an on-site dining facility and land for a public safety driving range adjacent to the academy. This constitutes the largest investment in the academy in a generation. Keeping Alaskans safe is a top priority. I’m proud of this recent batch of graduates for their hard work and am confident their training has prepared them to face the responsibilities of law enforcement. My thanks to Commissioner Masters; Lieutenant James Helgoe, Academy Commander; and the rest of the Academy’s top-notch staff for their service to our state. I was honored recently to be selected as the Grand Marshal for Ketchikan’s Fourth of July Parade. The community chose “Building for Ketchikan’s Future” as a theme for the parade, and will showcase the numerous projects undertaken in recent years to grow Southeast’s economy and improve the quality of life in Ketchikan. It’s a great honor to represent Ketchikan in the Legislature and I’m humbled by Mayor Lew Williams’ kind words in nominating me for a part in the festivities. I look forward to celebrating America’s birthday with the community later this summer. Recently I addressed the Sitka Chamber of Commerce to update business and community leaders on the work being done to grow Southeast Alaska’s economy. The recently-adjourned 27th Alaska Legislature accomplished a great deal for our region. We invested in vital energy infrastructure, enhanced state savings, passed legislation to improve our fisheries, and secured funding for a new generation of state ferries. These projects and others will keep our economy growing and help ensure Alaska doesn’t experience the drastic economic downturn that has faced the Lower-48. Southeast Alaska has never fully recovered from the collapse of the timber industry and we need to be proactive in finding solutions to sustain our communities and stem the declining population in our region. Capital projects and infrastructure improvements can be a bridge to new industries that will create jobs. Whether lowering the cost of energy or providing access to our region’s resources, these investments can make Southeast an attractive location for industries such as the mining and maritime trades. With future development of Arctic energy resources, coastal communities like Sitka could have a substantial role in providing the support services needed to further oil and gas exploration. Sheltered, ice-free coves like those found in Southeast are ideal for winter moorage for vessels and energy development equipment. This support-center model has been a mainstay for the economy of the Gulf of Mexico region and can play a role in the future of Southeast Alaska’s economy as well. I enjoyed the chance to discuss these accomplishments and opportunities with the Sitka Chamber of Commerce and look forward to working with them to advance Southeast Alaska’s economy in the future. You can listen to a radio story on my Chamber address here.